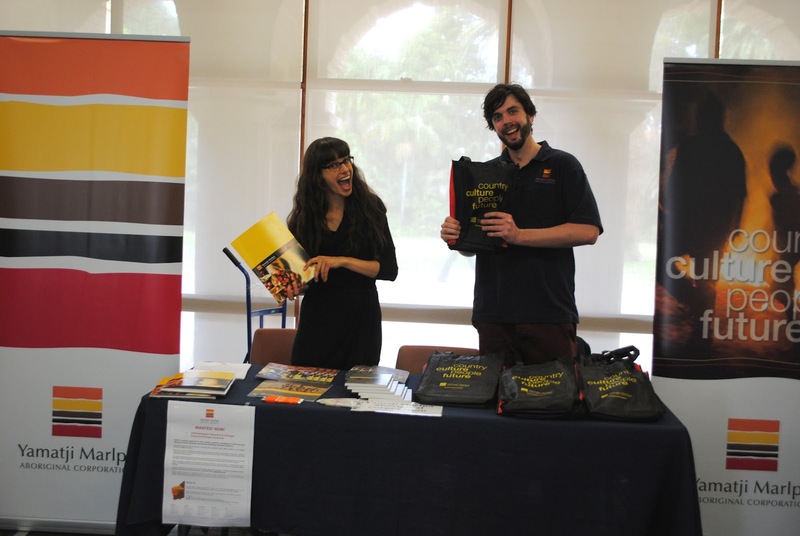 YMAC would like to thank all the students at UWA who attended the Indigenous Careers Expo for making it a great day! Do you have a story about a someone who has made significant contributions to health, social affairs and the environment in their community? The Public Health Advocacy Institute of Western Australia (PHAIWA) is currently putting together its third edition of the WA Indigenous Storybook, and is looking for storytellers to contribute. The project aims to influence how public health projects are planned and carried out in Western Australia, and encourages people to share stories about those making positive change in regional communities. This edition will focus on the Wheatbelt and Pilbara Regions of WA. If you would like help telling your story, PHAIWA has developed a ‘story framework’ to assist in this process, which can be accessed from the PHAIWA website. Mentors can also be arranged to help you write or tell your story. The first and second editions of this storybook, which focus on the Perth, Peel, and Kimberley Regions of WA, can also be downloaded here. PHAIWA is an independent public health organisation based within Curtin University, which aims to raise the profile and understanding of public health in Western Australia. Watch Yamatji committee member Victor Mourambine reflect on his experiences of native title in Austalia. This is the fourth in a series of interviews with our committee and board members, in which they share their stories of country and culture. See previous interviews with Ben Roberts, Susan Oakley, and Diane Stewart. Watch Victor Mourambine, Co-Chair of the Board of Directors, reflect on his experiences of native title in Austalia.